Pacari. 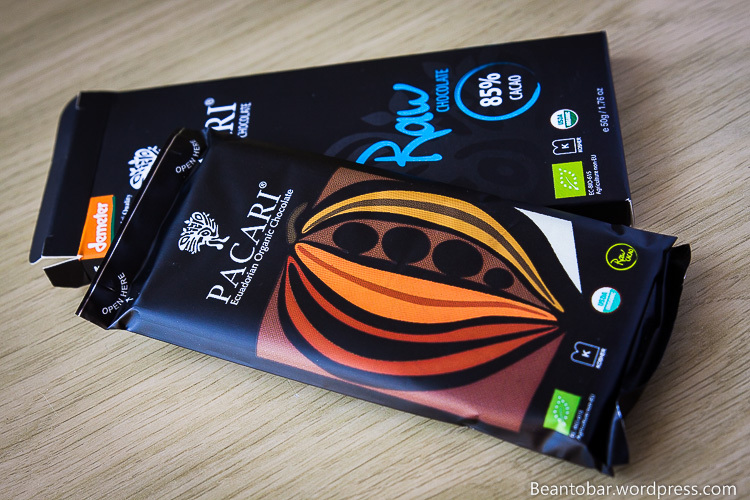 If there is one name omni-present in the fair trade – organic – origin chocolate, it is Pacari. This Ecuadorian chocolate company has an own vision on the production of quality chocolate with fair trade, organic cacao. And they put a lot of effort in sustainability and social growth af their cacao producers. With their specific taste profile, Pacari stands firmly on the chocolate world map. After being blown away by their 100% Raw bar, a chocolate rich in taste but hardly for the faint of heart, I decided to try a lower percentage, to see if the added sugar makes for a more approachable yet intense bar. 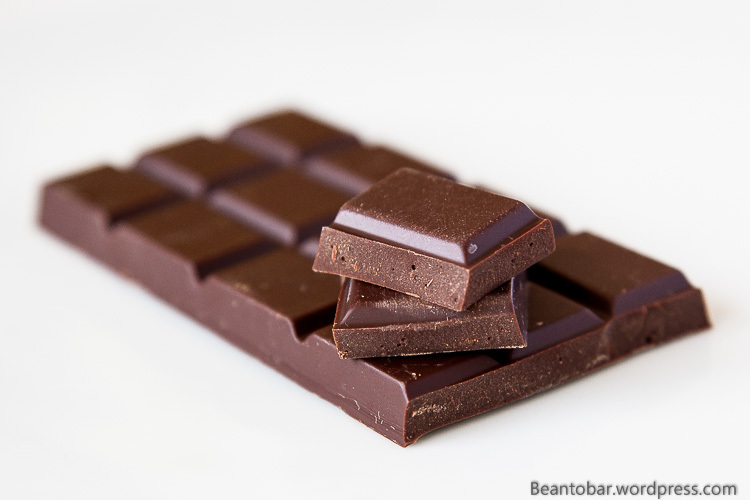 Raw chocolate is made of cacao beans who have been treated with as little heating as possible, in order to keep all the oxidants and the high flavor profiles intact – instead of being roasted like chocolate is made usually. Pacari offers both a raw and roasted line. As always, the sleeve of the Pacari bar is wonderful. Dark background with an indian style drawing, the white Pacari logo and colorful name of the bar. Raw still stands strong on the box. Not as a warning, rather as an invitation to experience cacao in a pure form. Inside the box, the rich decorated foil. Gorgeous to look at, a bit difficult in use when you want to reclose the package when don’t finish the bar in one sitting. The bar itself is simple and clean. A large rectangular, scored in 15 pieces. The tablet it a little thicker than usual, making a single square perfect for tasting. I’ve always liked the sleek look of Pacari bars. Let us move on to the taste! Color: ebony with a reddish hint. Lighter than most high percentage bars. Aroma: Earthy yet lots of chocolate, the aroma is slightly sweet in nature, contradictory to the high cacao content. Taste: The chocolate starts herbal, grassy and with even some hay flavors, before giving away to a sweeter aroma reminding me of vanilla/spice and a touch of yellow apricot fruit and a distant hint of banana. Tropical is what pops up in your mind. The texture is less silky than other chocolate due to a slight grainy feeling and the thickness of the bar, but the melt is heavenly and the chocolate is gone to soon. The aftertaste keeps the deep chocolate tones lively and allows some slight bitter tones coming in. Just at the very end of the aftertaste, I recognised some raw cacao hints coming trough. Even though it is a 85% bar, it is very approachable even for the inexperienced chocolate enthusiast. This is the most balanced 85% bar I’ve tried so far. 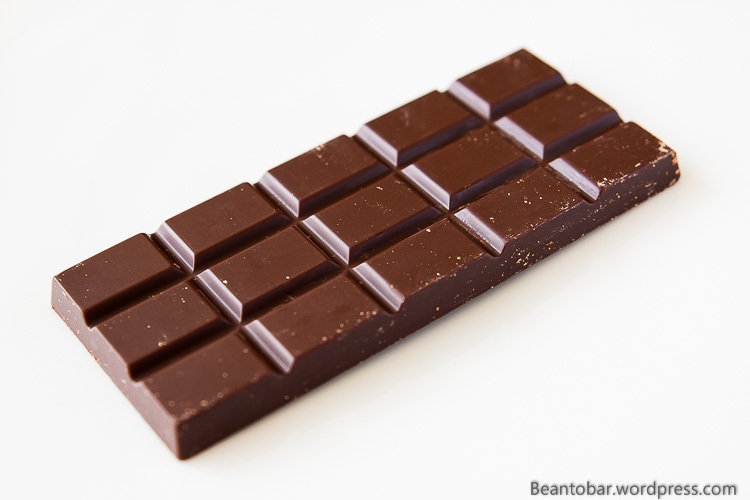 It is extremely chocolaty and balanced where other 85% bars seemed a bit nervous in taste changes. But unlike their 100% bar, this one does not make a formidable impression, perhaps due to the balanced taste that seems to avoid grand aroma evolutions. It is a darn good chocolate, without being exceptional. 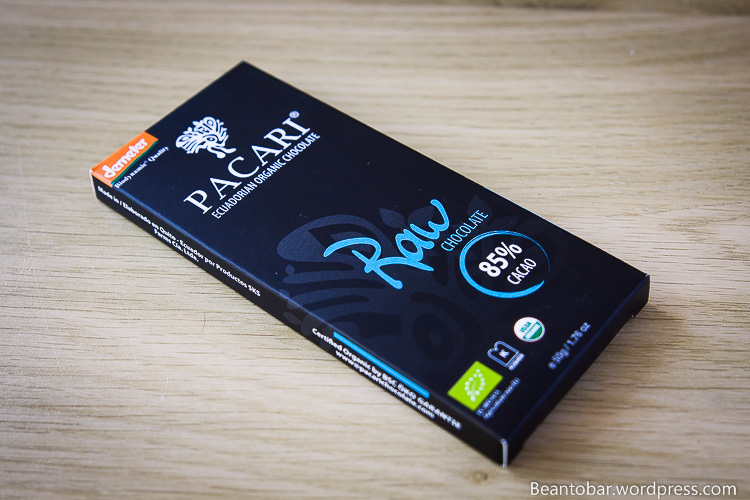 Pacari puts their own stamp on chocolate making, especially with their raw line which makes for a green tasting bar as there are no roast aroma’s around. Very enjoyable on a sunday afternoon!